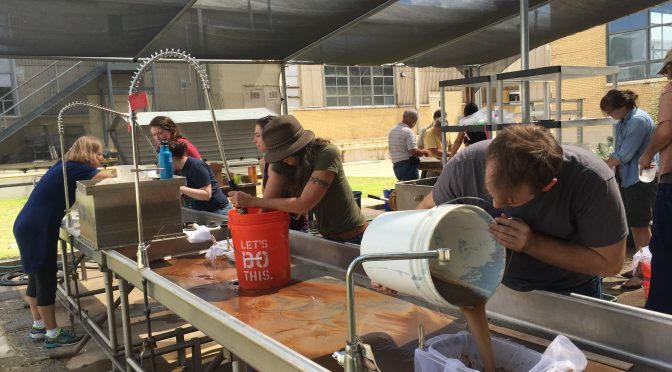 sedimentation, soil sampling, and sample processing. We were fortunate to have expert instructors Dr. Leslie Bush and Dr.
archeological sampling strategies, and post-field sample processing. Workshop participants identified soil textures and composition with a texture flowchart activitiy. Workshop participants came from all quarters: undergraduate and graduate students from UT and other universities, professional archeologists, and folks with an interest in archeology who wanted to build their knowledge and skills. We are glad to offer this kind of opportunity for our community to come together and get some in-depth instruction on topics that will aid them in their professional endeavors. 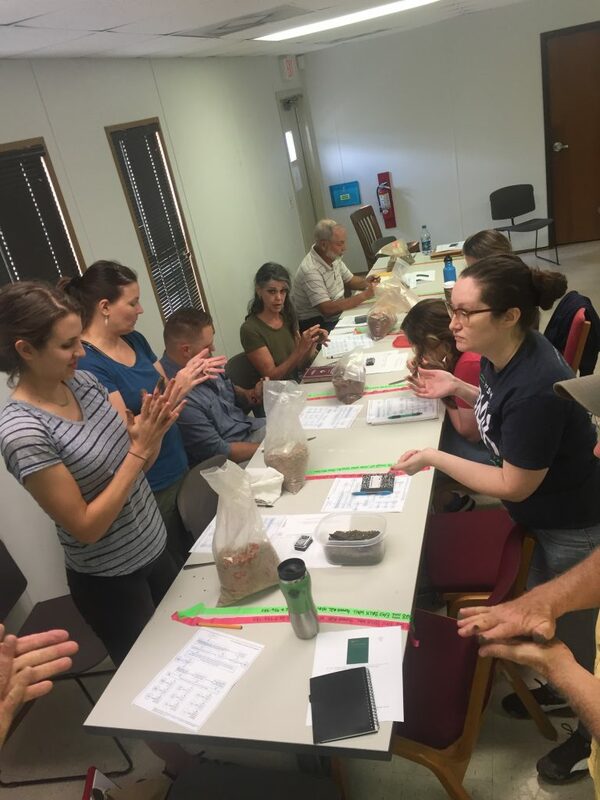 The soils and flotation workshop was a great chance for participants to increase their understanding of both important practical skills and underlying principles that can be enormously helpful as archeologists work to understand and interpret archeological sites. Thank you to our wonderful instructors for putting so much time and effort into making this a great workshop! If you have suggestions for future workshops that would benefit you as a student or archeological professional, please let us know! If you are a professional with a specialty you’d like to share in a workshop, we want to hear from you, too. TARL hopes to continue providing useful and fun opportunities to the community. Follow our social media and join our email list for information on upcoming workshops. Our next workshop will be a discussion of issues surrounding the Native American Graves Protection and Repatriation Act (NAGPRA), set for Saturday, November 18, 2017. 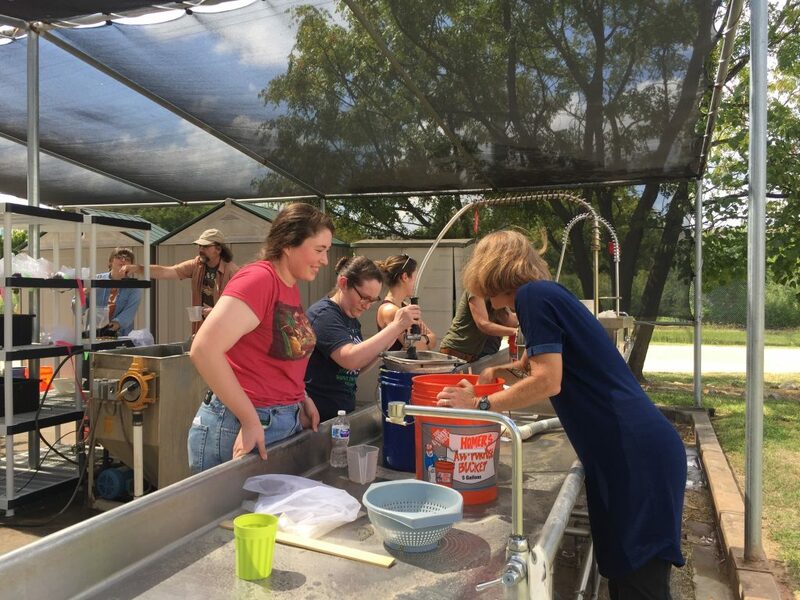 Participants practiced floating soil samples to recover botanical remains under the watchful eye of instructor Dr. Leslie Bush.